Running the Home page uses system resources each and every time a user opens and closes either the program or each time a user switches from one data file to another. The more access the user has to financial information, the more resources QuickBooks uses to display the Home Page. 2. Set User Preferences to Clear All Open Windows Each Time You Exit QuickBooks. If you save the desktop, QuickBooks will reopen every window you used in your previous session, including reports that require a tremendous amount of QuickBooks resources to generate. Increase main memory to 128 MB minimum, preferably 256 MB for workstations and 512 MB or more for servers. The official QuickBooks minimum main memory is: 2001 – 64 MB; 2002 – 64 MB; 2003 – 96 MB; 2004 – 96 MB. It is NOT the optimal memory to speed up QuickBooks and does not consider how often you have other programs open while running it QuickBooks for your small home business. Turn off the QuickBooks automatic updates. In Windows XP click Start, All programs, Startup and delete Axelbridge, Axelbridge1, QBAgent, QBDagent, QBDagent1, QBupdate, QBserver or QBupdate, depending on QuickBooks version. In QuickBooks enter File, Update QuickBooks, Options, Turn off Automatic Update. Why should QuickBooks check for updates each time your computer starts, it only updates about 10 times a year? This can really speed up QuickBooks, especially if you are low on memory or do not have open high-speed web access for your small home business. Edit QuickBooks Preferences. In Accounting, turn off Use audit trail. In Desktop View, do not Show a Navigator and Don’t save the desktop. In General, turn off Warn when editing and Warn when deleting. In Reminders, mark everything Don’t remind me. 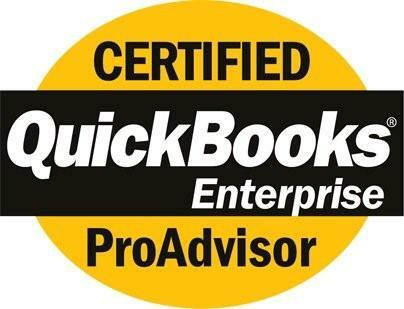 Check the QuickBooks file for errors and use our File Repair Procedures if needed. Archive or Condense QuickBooks files annually after reconciling all bank accounts and making sure your audit trail is off. Split Processing with QuickBooks Add-ons, which often record entries in separate databases and only enter occasional summary entries in QuickBooks. See our free accounting software and free QuickBooks downloads to speed up QuickBooks for your small home business. Increase CPU speed to 2+ GH and drives to EIDE or better. New computers are about four times as fast as four year old computers, so you save time and money as you speed up QuickBooks and most other programs for your small home business. You also often need new computers to run the latest powerful time-saving programs. Optimize computers by defragging (optimizing) hard drives and making sure you have more than 10 percent of hard drives free. Use programs like Ad-ware for spyware, ZoneAlarm for security, and Norton System Works for Windows cleanup and viruses. Delete old e-mail. Let a disk cleanup program safely delete old files, including those in your recycle bin (after you back up). QuickBooks, Is It Time To Upgrade? Hah! Great tip for QuickBooks! Wow, my QuickBooks is running faster now. Thanks for the tips! Much faster now, much thanks! I used them, they worked, my QB is much faster! Thank you! Great tip – our Quickbooks is running 300% faster. Thanks! Nice post! This really helps me to find the answers to my question. QuickBooks is much faster! Than you so much. Very good tip – I never knew that my QB was slow until now … its fast! Thank YOU! I needed to appreciate this interesting I definitely loved every little it. I have you bookmarked your site to check out the latest stuff you post. Nice post ! Thank you for share ! Our Quickbooks speed is markedly increased thanks to this post. Much thanks and ananda! Nice! Great article! We had this problem with our Quickbooks and now its fixed! Merci from France!